Photo by John Tavares via Flickr. Andy Byford will leave his post as CEO of the TTC for a new position heading the most troubled transit agency in North America, New York City Transit. That is the largest component of the Metropolitan Transportation Authority and it operates New York’s bus and subway systems. Other divisions handle commuter rail (equivalent to our GO Transit), bridges, and tunnels. Decades of mismanagement and political infighting in New York have left their subway system in a shambles, as the New York Times recently reported in great detail. That is the chaos Byford faces as he gives up a successful run in charge of Toronto’s system. He knows the challenge from his role on the Transportation Reinvention Commission that reviewed the sorry state of New York transit. What have the Byford years brought to Toronto? Did the accomplishments match the glowing descriptions and a five-year plan capped with the North American Transit System of the Year award? What will the city miss, and where does the TTC turn now for management and leadership? When Andy Byford joined the TTC in November 2011 as chief operating officer, Rob Ford was mayor, Karen Stintz was the TTC Board’s chair, and Gary Webster was the chief general manager, as the CEO’s position was then called. In theory, Byford would understudy the CGM and move to the top job after Webster’s retirement. That date came much sooner than expected, in March 2012, after Rob Ford ousted Webster for having the temerity to publicly back the Scarborough Light Rail Transit plan, not the subway line, at a City Council meeting. Right up to the press conference announcing his departure, Byford refused to say whether he backed the LRT or subway proposal, preferring to observe that either could be supported. He felt that the TTC could go with either choice with projected demand on the cusp between the modes, but not if rising costs are at the expense of state of good repair programs or the Downtown Relief Line. When the design reaches 30 per cent and cost estimates are refined (likely in mid-to-late 2018), the TTC Board and Council will have a chance to revisit the question, but he would not speculate on the outcome. In recent months, Byford has talked of reconsidering his subway position if the cost estimates rise as detailed design uncovers new complications. What size of increase would trigger Byford’s abandoning the subway scheme? He hasn’t said, although the words used to describe the gap grew over the weeks since he raised the issue in a press interview. Now we will never know just what Byford’s price might have been, the sticker shock that would be beyond his conscience. That’s a challenge for his successor. Byford made a long exit speech to the media at TTC Headquarters, a recitation of his accomplishments from a prepared script. While “I’m proud of my job” is a good farewell text, it did go on at length telling everyone just how much the CEO had done. These were words that belonged in someone else’s mouth, or simply in a backgrounder, and the speech felt as if the real audience was somewhere else hundreds of kilometres away. 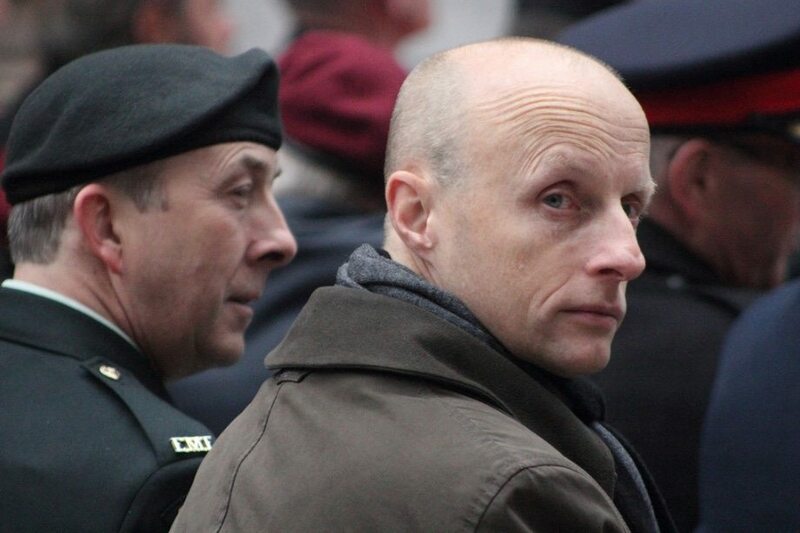 So what does Andy Byford’s self-publicity tell us about the achievements he most values? Pride of place goes to the Spadina Subway extension to Vaughan Centre that will open in mid-December, together with the implementation of a new signal system on Line 1 Yonge-University-Spadina. These are not projects Byford started, but he inherited them in disarray. Month after month, TTC management would report that they were “on time, on budget” in keeping with the “good news” era of Stintz as TTC chair. That myth simply could not be sustained, and when the details came out they were not pretty. Many contracts on the subway extension were hopelessly late, and conflicts between contractors created scheduling foul-ups and extra costs. The signal project started as a small scale replacement of the oldest equipment, but evolved into a full-blown re-engineering of the line to modern, automatic train control. That project, after years of scope creep and changes of direction, was mired in overlapping contracts and incompatible technologies. Some already-completed work simply had to be scrapped because it would not mesh with other parts of the design. Getting those projects under control was not the work of one man, and Byford enlisted staff, new hires, and consultants to “reset” both projects to workable designs and schedules. To his credit, a theme through the goodbyes was the essential role of TTC staff from top to bottom of the organization for Byford’s successes. That support, that network, that trust will have to be built anew in New York City. Byford rhymed off improvements in system reliability and service quality such as better equipment maintenance and the reduction of short turns. Many of these numbers look good on the surface, but TTC riders still experience the daily challenges of uneven service and overcrowded vehicles. Reliability targets, even when the TTC hits them, are quite generous in tolerating off-schedule service. More funding came to the TTC, but not enough to substantially beef up the system. The bus fleet is bigger on Byford’s watch, but many new vehicles went to the maintenance pool, not to service on the street. If there were a CEO’s report card, one unflattering line would be an “incomplete” on improving the quality of service riders actually see. Byford notes ridership grew by 40 million, but that was in his early years and it has flatlined since 2013. The policies and administration that brought that growth predate the influence of either Byford or of Mayor Tory. Improvements are hard to champion when the mayor and Council demand minimal changes to subsidies and advocacy is suspect because it might encourage political opponents. Mayor Tory’s bullies were not kind when the TTC’s ideas for new and better services came out during the last election campaign in 2014. At a recent budget meeting, Byford noted wryly that everything the TTC proposed has now been embraced, most recently time-based transfers. A new Ridership Growth Strategy has been brewing for nearly two years, but Toronto is unlikely to see concrete proposals until spring 2018. Although Toronto restored funding after Ford era cuts, Byford had intended to push an aggressive growth plan. What we actually see may depend more on the political desire or fear of showing riders and voters what could be possible not for one line in the distant future, but for their travels over the entire network today. The TTC has a new subway fleet and, partially, a new streetcar fleet. These shiny, gleaming cars were delivered on Byford’s watch, but they were ordered before he arrived in Toronto. The older cars serving Line 2 Bloor-Danforth, nowhere near their 30-year lifespan, were hated by riders through the hot summer of 2016 thanks to failing air conditioning units that have now been replaced. The TTC was slow to spot the emerging problem in 2015 and it was a full-blown crisis a year later. Such is the challenge of maintaining older infrastructure, and one cannot always buy the way out of problems with a new fleet or facilities. That’s another big New York problem Byford will face. Within the TTC, management processes required a thorough overhaul, and that is still a work in progress. Fragmented and archaic IT systems complicated the task of managing the TTC both for basic functions like accounting and payroll, as well as field systems such as vehicle monitoring with technology dating back to the late 1970s. Some impetus comes from the City of Toronto who would prefer that TTC management systems use a common software base to simplify data exchanges with this largest of city agencies. That sounds like an obvious goal, but this is a recent move Byford pushed to a TTC Board reluctant to spend on big IT projects. Customer service is important for Byford, but world-class service demands better morale, another of his goals. At times, competing demands worked at cross purposes—a desire to welcome customers, but make darned sure that they pay their way—sending mixed messages to front-line staff. Surveys showed that customer “satisfaction” is growing, but average values can mask real day-to-day problems riders encounter. That system of the year award invited derision because its focus was a management-centric five-year plan, not the service riders know from firsthand experience. Byford changed the look and character of TTC management on his watch, taking advantage of a wave of retirements to rebalance senior ranks for equity and diversity, and to build an organization ready for changes at the top. Just as Byford came to his role as CEO sooner than expected, that new team will move forward without Byford’s leadership, only his new five-year plan. Recently, the unflappable CEO has seemed rather testy, lashing out at critics who don’t have to sit in his chair. The trigger was a public complaint alleging collusion in the preparation of a Scarborough Subway briefing note. But there was more at work here, a sense that Byford, the new broom sweeping out an old era at the TTC, had shifted to a defensive stance about his record. This was not a pleasant change to see, but that sourness has vanished with the impending move to New York. Andy Byford leaves Toronto at a critical time with two elections in 2018, and no guarantee that the new provincial and City administrations will be as friendly to projects he championed as those now in power. The TTC will be left without an articulate spokesman who knows at least the recent history. Momentum could easily be lost without political support for continued growth, or worse with a political emphasis on style and good news over substantive progress. The subway extension and signal systems may be Byford’s “signature” projects, but more that could have been his are in the pipeline. The Downtown Relief Line: Byford says he “described this as a top priority since the first day I came here.” That may not have been apparent from day one, but there certainly has been a change with the TTC’s embrace of a new north-south subway line. Moving this project through early engineering and positioning it for construction funding will challenge any CEO, assuming Byford’s successor shares the commitment. Station Transformation: Subway riders all see the construction underway for new fare gates, but more is in the works with a planned shift from collectors in booths to roving customer service agents. This scheme is based on a London (U.K.) model familiar to Byford, but will Toronto make the transition? The plan has only lukewarm support at Council and could be threatened once its primary advocate decamps. Ridership Growth Strategy: Byford says “an aggressive ridership growth strategy must be embraced to resume that upward trajectory,” but just how “aggressive” that might be remains to be seen. He talked of growth of 10 to 20 million on the present 540 million base, but this is small potatoes unless it is sustained and repeated for many years. Growth has implications for capital budgets (more vehicles and facilities) and operations (more drivers and mechanics), and these implications could frighten a spending-averse Council and mayor. Line 2 renewal: The Bloor-Danforth subway will see a massive project—new trains and signals, a yard and shops near Kipling, station upgrades across the line—but the plan has not yet surfaced in the TTC’s public plans. Co-ordination of projects designed to avoid duplication or conflict should bring value for the large investment, but this will need strong management and political support to avoid the fragmented approach taken on the Yonge line. Deputy CEO Rick Leary will be appointed as acting CEO effective December 22. He will mind the store, but without the same passion and ambition Byford clearly brought to the role. TTC Chair Josh Colle hopes that a new CEO can be appointed by July 2018, and a search is already underway. That CEO will have to learn the ropes, and, a more subtle concern, they will be chosen by an administration not renowned for boldness. The TTC, Byford said, is not an island and it must work with Council. He is proud of his role advocating for transit investment and giving councillors confidence in a responsible management team. The TTC Board seems only dimly aware that it does not understand the system it nominally heads as well as it should. Who runs the TTC, the management or the politicians? The simplistic response is that politicians set policy for management to implement. At the political level, it can be useful to have staff who just make things happen, but policies must be informed by management who will advise, advocate and warn against ill-conceived schemes. Management can make a huge difference in the public debate, and the choice of a new CEO is critical to the TTC’s future. Andy Byford’s move to New York will take him to another city where former TTC CGM David Gunn (1995 to 1999) presided over a system desperate for a major overhaul. Gunn ran the NYCTA from 1984 to 1990, and is renowned for what he accomplished, but it was only a start. Toronto is a city that admits its failings with difficulty, and that has hindered the TTC over many Boards and CEOs. In New York, everyone knows there are big problems because they affect everyone, every day. That’s an uphill battle for any manager and Byford’s 2018 will be much more challenging in his new home. Before he goes, Andy (as everyone calls him) will no doubt be fêted in many watering holes around the city, not least of which will be his “local” The Rebel House. Exploration of Toronto microbreweries will be relegated to an occasional vacation treat should he return, and his NYC challenge will be to find a “football” bar up to his standards. Byford leaves the TTC in better shape than he found it, but Toronto will be worse off for the break in transit leadership at this critical time.